The Colosseum is one of the most visited monuments in the world, receiving 4 million visitors every year. If you’re planning a trip to Rome, it is a can’t-miss attraction along with the Vatican, the Roman Forum, Palatine Hill, and many more. 1.1 Should I buy Colosseum tickets in advance? 1.2 Can I skip the line with Colosseum tickets? 1.3 Where do I buy Colosseum tickets? 2.1 What is the Colosseum entrance fee? 3.1 Do I have to visit all three monuments on the same day? 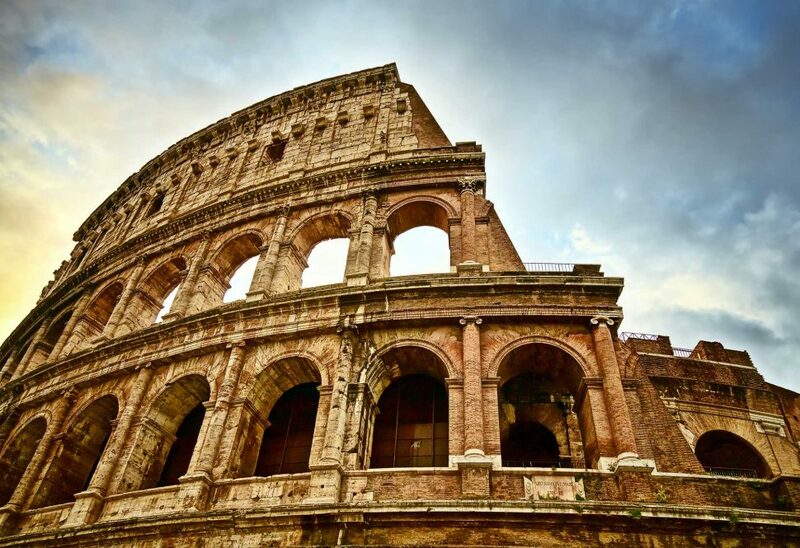 Fortunately, you can buy Colosseum tickets online before your trip; that way you can spend more time exploring Rome and less waiting in line and worrying about figuring out where and how to see all of the Eternal City’s architectural and artistic marvels. Should I buy Colosseum tickets in advance? Book Colosseum tickets in advance and they’ll be sent right to your inbox. Print your tickets out at home, no pick up necessary. No waiting in line at the ticket office — you’ll save a lot of time. Choose the date and time of your visit and don’t worry about there being huge crowds on the day. There is a slight mark-up for buying Colosseum tickets online but pre-booking will allow you to dodge the annoying queues that are an non-negotiable part of a visit to any important monument. However, keep in mind that you’ll still have to go through security, although this process will take less time than it would if you’re not an advance ticket holder. Can I skip the line with Colosseum tickets? Yes you can. There are two accesses to the Colosseum, one for advance ticket holders and one for those buying them on the spot. The advance ticket holder line is much shorter so you’ll be able to get inside much quicker than if you show up without tickets. Temperatures can be quite high in Rome in the summer so less time spent waiting in line is always better. Where do I buy Colosseum tickets? Right here (link)! TheColosseum.org is a licensed retailer of official Colosseum tickets. You can book your tickets through our site in under 5 minutes and you’ll have them in your inbox and ready to go in an instant. There are also audio guides available (in English) and tickets for children at a reduced rate. Below you can see the prices for all colosseum tickets. By buying your colosseum tickets online you will incur a slight mark up on the price that corresponds to the booking fee, in exchange for the advantages listed above: skipping the line, being able to choose the date and time slot of your visit, not being left without tickets because there are too many visitors on a given day, etc. What is the Colosseum entrance fee? If you’re not planning on joining a guided tour of the colosseum (link to Tours page), we recommend you get an audioguide. With 2000 years of history, born at the heart of the most important empire the world has ever known, the Colosseum has many stories to tell. You’ll learn more about this important monument and find your visit to be richer and more captivating with some expert explanations of its most important features and its history. One of the most common questions visitors ask is “do I need to buy separate tickets for the Colosseum, Forum, and the Palatine Hill?”. The answer is no. The Colosseum is part of the same monumental complex as the Palatine Hill and Roman Forum, and all three are within walking distance of each other. Fortunately for visitors, all three sites share the same ticket. You can visit the Palatine Hill and the Roman Forum with the same ticket you use for the Colosseum — so don’t get rid of it once you’re done with the gladiatorial arena! Do I have to visit all three monuments on the same day? No you don’t, tickets for the Colosseum, Roman Forum, and Palatine Hill are valid for two days, so you can spread out your visit if you want. That said, Rome is jam packed full of beautiful and spectacular monuments and given that these three are all very near each other it may be worth it to see them all in go to make the most of your time. If you want to visit the colosseum after hours, or would like a combined ticket that allows you to see some of Rome’s other important attractions, you’re in luck. Beginning in March 2017, visitors can book a guided night time tour of the colosseum. The arena takes on an entirely new quality at night. It feels even more ancient and impressive. Check out our guided tours page (link) for more info on visiting the colosseum by night. Instead of booking individual tickets to every monument and museum in the Eternal City and having to handle dozens of emails, receipts, and papers, you can make your life much easier with the all-in-one Roma City Pass. The pass includes free or discounted access to many of the city’s top attractions (including the colosseum) as well as transfers to and from the airport and transport on Rome’s sightseeing hop-on-hop-off buses. Find out more about the Rome City pass here (link). Metro: Line B - "Colosseo"